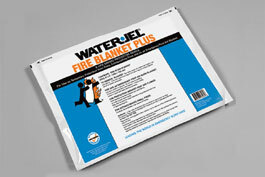 5' X 6' WATER-JEL FIRE BLANKET-PLUS (POUCH) - Sold by the each A full-size blanket that adequately covers a burn patient and can be used to extinguish flames and smoldering clothes or dangerous white phosphorous. 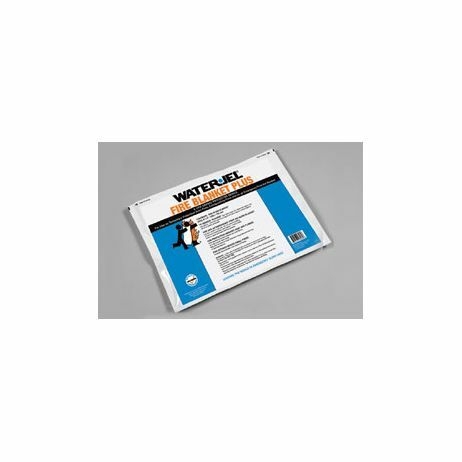 Conveniently packaged in a flat, durable foil pouch that is easily stored on a shelf or under a vehicle seat. Directions for use clearly defined on pouch. Shelf life: 5 years from date of manufacture.